Wasabi has been a part of every Japanese household kitchen and has invaded most kitchens and restaurant in the world. Americans love their sushi as much as their Asian neighbors, but when it comes to sushi, some like it hot, and wasabi is there to make it so. Wasabi is what makes Japanese food authentic. Who eats Japanese food without it? 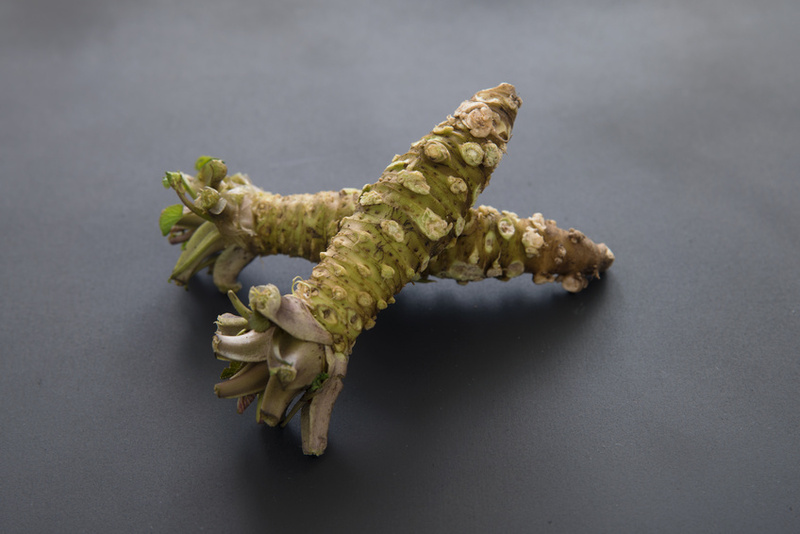 Wasabi has a long history and can be traced back to the middle ages in Japan, during the 12th to the 14th century where it has been used as medicinal herb and condiment. The taste of this spice is unique as where the plant grows, in the mountainous regions of Japan with cold and clear mountain streams. It is a variety of horseradish with a distinctively unusual formulation. The wasabi plant looks delicate, yet it has a powerful punch. It has become an essential condiment of soba and raw fish dishes such as sushi and sashimi. We Americans seldom eat sushi and other ethnic Asian creations without it. As for soba, (noodles) the noodles are made from buckwheat and is a dish that is very popular. It is mixed with the fish broth and the broth from cooking the soba noodles to bring out the flavor. Soba is also made into salads, mixed both hot and cold with shrimp, scallops, and other vegetables as well. Soba is also one of the preferred dishes in New Year celebrations. In sushi and sashimi, It neutralizes the distinct odor of the fresh fish and gives a unique accent with its light spicy and refreshing flavor. Not only that it has a taste of its own, but It also complements other sauces like soy sauce, which you may notice or you might have already been mixing it with. Wasabi also is becoming more versatile and in demand. It is used as a snack coating, like peanuts and cashews, and can even be found as an ingredient in ice cream and chocolates. The unique and spicy flavor of Wasabi has grown in popularity worldwide. Have you eaten steak roast beef and pasta with it? A must try I may say. Yes, this Asian sweetheart of condiments already become a culinary staple of the west. After all, We can always eat something delicious and make it more sumptuous with a little kick of refreshing spice. Now, Wasabi is as internationally recognized as the famous dishes it complements. You may never actually eaten real wasabi, or at least not very often. This is because most of the wasabi served outside of Japan is a mixture of horseradish, mustard, and food coloring). Our Wasabi seasoning is a unique blend where East meets West. The (in) famous kick of wasabi along with savory notes and a tangy finish is a perfect accent for meat, seafood, noodles, and dressings. Use with meats, poultry, even salad dressings! 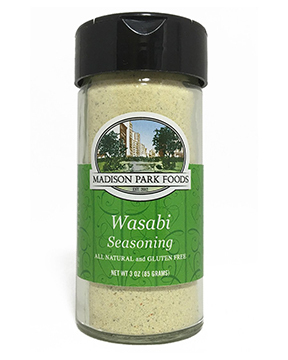 You’ll love the boost our Wasabi seasoning brings to the flavor of your cooking.